I like to joke with my friends and family that I have been a first-time mom twice. We have an older set of kids and a younger set of kids. Our oldest children are growing up quicker than ever, so it’s super important for us to spend time with them. With the holidays upon us, my husband and I work hard to capture the Christmas spirit with our kids. If you’re looking for ways to do this, hopefully, some of these tips help! We love gathering around and reading Christmas books to the little ones. My husband, older kids, and I will all take turns reading books outloud. This helps us capture the Christmas spirit with all the kids. Plus, it gives us time to spend time together as a family, which is super important, especially around this time of year. Have you thought about the value of watching movies together as a family? We LOVE watching Christmas movies together! On Friday nights, we gather and pick out one movie to watch. I love watching the older Christmas movies with my kids. Movies like Rudolph and Charlie Brown, it’s so much fun to watch their eyes light up with excitement and delight. The first of December is special to our family for several reasons. 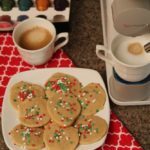 We sit around and ask the kids what is important to them this holiday season while drinking coffee, hot chocolate, espresso, and enjoying homemade cookies. During this time, we also plan our holiday calendar. Otherwise, if we aren’t intentional the month passes by, and we’ve missed important moments with our family. Spending time together with our family is important if you can’t tell! This season, we were blessed with a De’Longhi Lattissima One. I am pretty sure my son was the most excited about this since he LOVES warm drinks of all types. He enjoyed frothing the milk with the help of the machine. The best part of the De’Longhi Lattissima One is the easy features. 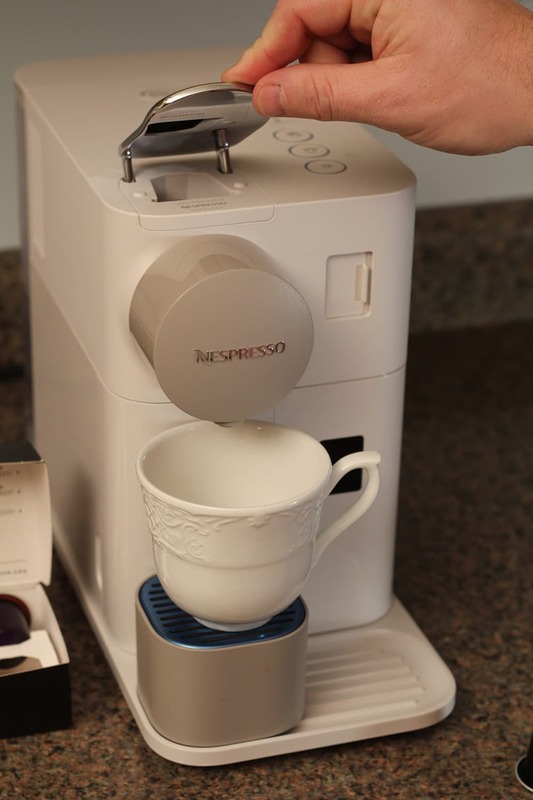 All it takes is one touch for this single serve express machine with capsule convenience to create an amazing latte, expressos, cappuccinos, and coffees. I’m not a barista, so it’s nice to know I can enjoy a delicious cup of coffee or a warm drink, right at home. There are six one-touch recipes so that you can make the perfect cappuccino, espresso, creamy latte, latte macchiato, warm milk, or coffee. The advanced frother also makes creating a drink at home pretty special with rich, long-lasting foam. Our little girls especially loved watching this feature. I also found that the De’Longhi Lattissima One has a very practical design. The 19-bar high-pressure pump heats up quickly, so I’m not waiting around forever before I can drink a cup of delicious coffee or whatever drink I choose and the capsules make it mess free. I can put the De’Longhi Lattissima One on my counter and leave it there because it has a nice sleek, compact design. Also, each machine comes with a complimentary welcome set with a range of Nespresso capsules. Save 30% through December 30th – Today, through December 30th you can save 30% off the De’Longhi Lattissima One. This is a huge savings! 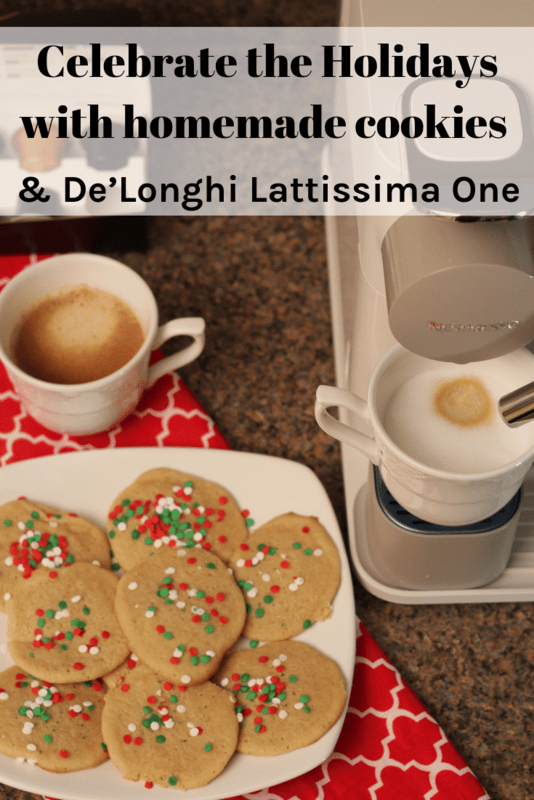 Now that we have our De’Longhi Lattissima One, we can also enjoy our special cookies around the holiday season. We love baking cookies together at Christmas. It is one of our family traditions that we all look forward to all year long. The cookies we made this year are a twist on chocolate chip cookies. My oldest daughter has been making homemade chocolate chip cookies for years, from one of my grandmother’s old church cookbooks. Usually, there are a couple of cookies at the very bottom of the bowl that has very little chocolate chips, and my daughter figured out that she loved those cookies, so we made a brown sugar cookie with festive sprinkles. 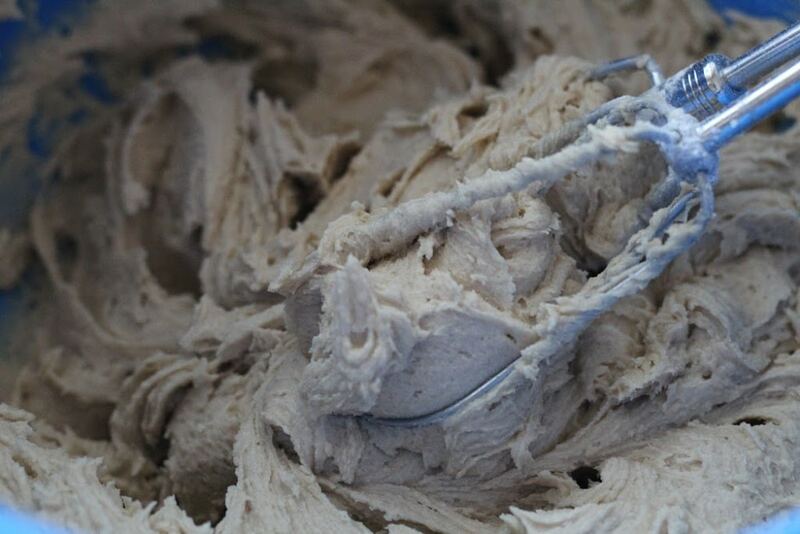 This cookie recipe is super easy and delicious. I especially love that my kids can make it without a lot of fuss. We don’t care if the cookies turn out perfectly shaped or even all the same size because what matters is that everyone participates from our oldest, who is 15, down to our 2 year old little. Make sure to scroll down to the bottom of this post for our recipe. I’m so excited to share with you. 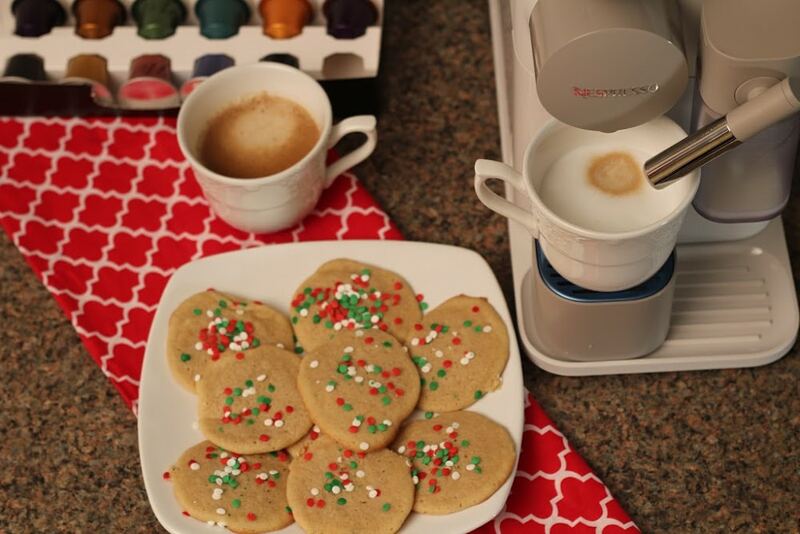 Speaking of cookies and the Christmas season, De’Longhi is giving back this holiday season. 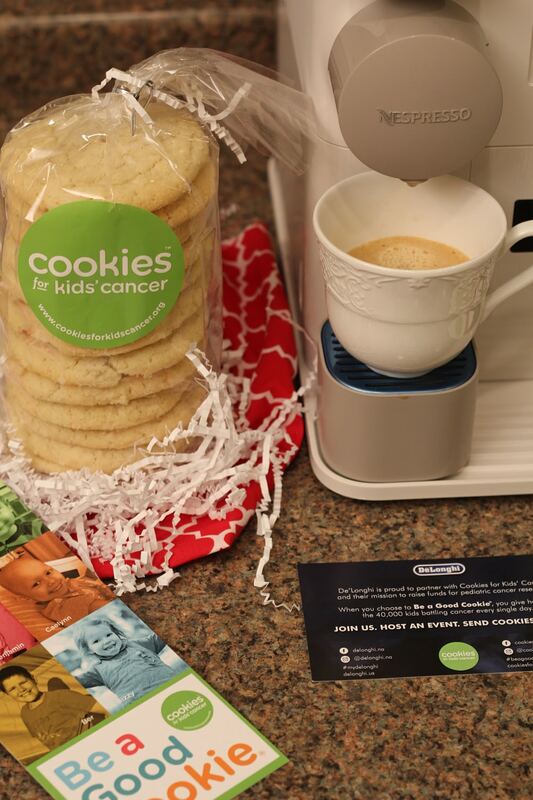 Cookies for Kids’ Cancer is a national non-profit organization dedicated to funding research for safer, more effective treatments for pediatric cancer, the #1 disease killer of children in the U.S.
To give back this holiday season, De’Longhi will donate a portion of its delonghi.us sales site-wide to a non-profit pediatric cancer organization, Cookies for Kids’ Cancer. De’Longhi Days of Giving is running Now – 12/19, so make sure you get in on the fun and giving. Cream butter, sugar, brown sugar, and vanilla in a bowl. Gradually add the flour to the creamed mixture beating well. 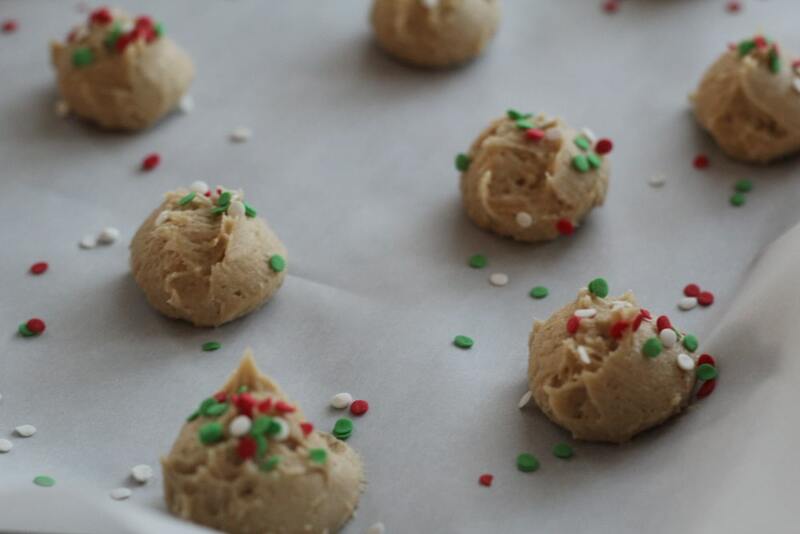 Drop by teaspoonfuls or small cookie scooper onto parchment paper lined cookie sheet. Bake 8 to 10 minutes, or until lightly browned. Cool slightly, then remove from the cookie sheet. 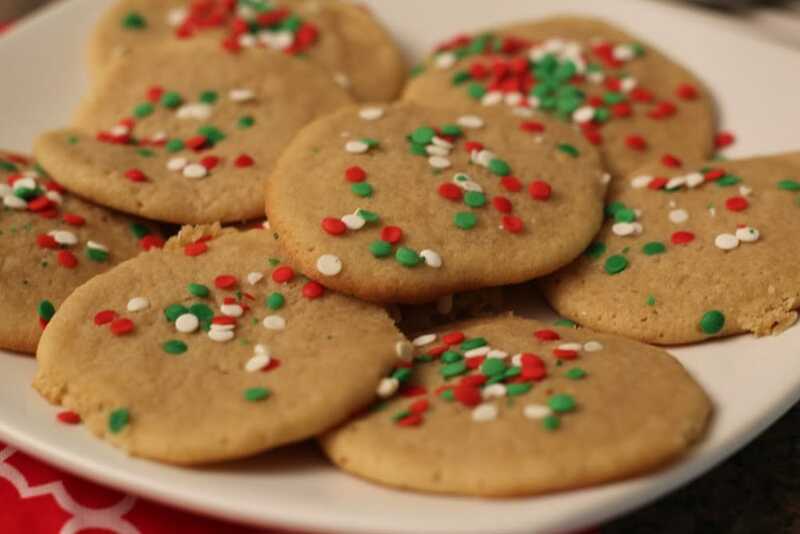 Brown Sugar Cookies are so easy to make. All you need is a couple of ingredients you likely already have on hand. 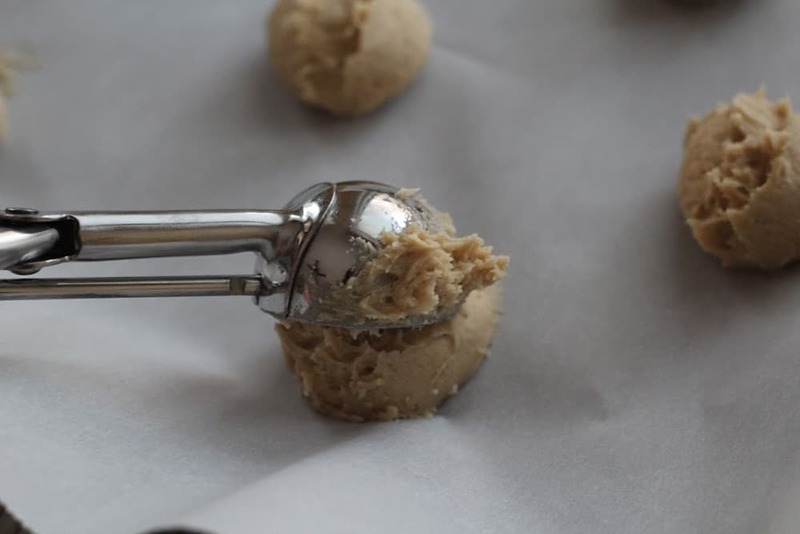 I use a small cookie scoop and parchment paper for mess-free cookies. Right before popping the brown sugar cookies in the oven, we add festive Christmas sprinkles. They might not be Pinterest perfect, but I love the fact that our kids can make these brown sugar cookies together as a Christmas tradition each Holiday Season.